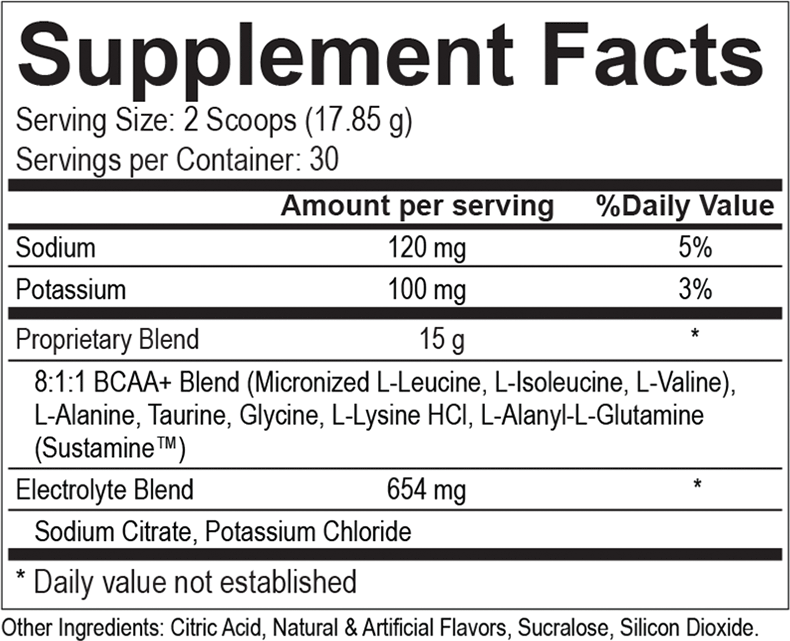 USP Labs Modern BCAA Plus Powder Ultra Micronized Amino Acid Supplement contains 50% more amino acids per servings. Are you still using dated, bulky BCAAs with non-micronized aminos and ordinary l-glutamine - loaded with unnecessary artificial flavors and dyes? 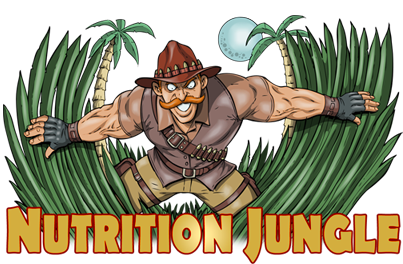 Get out of the stone age with USP Labs Modern BCAA Powder! 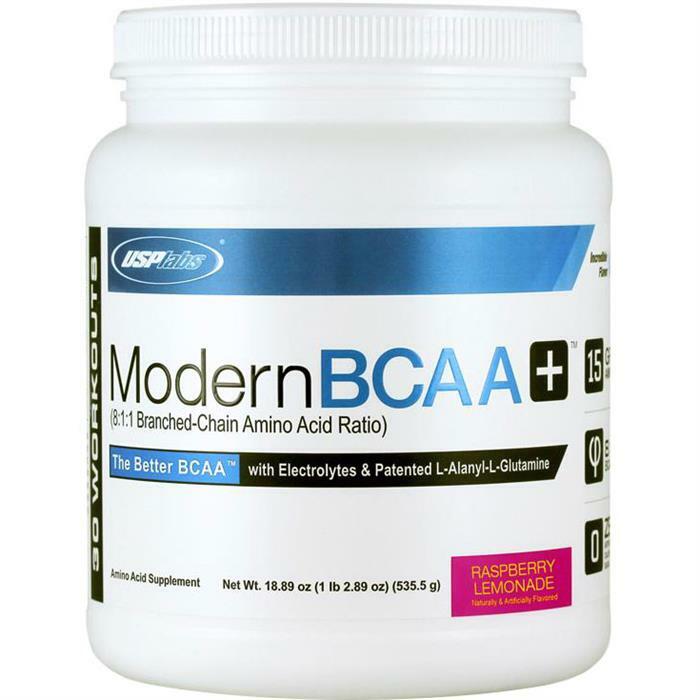 USP Labs Modern BCAA+ Powder is equipped with 15 grams per serving of micronized aminos along with a natural, refreshing taste free of artificial flavors. 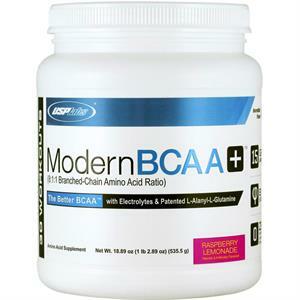 USP Labs Modern BCAA+ Powder Ultra Micronized Amino Acid Supplement mixes clear and is incredibly refreshing. USP Labs Modern BCAA+ has set a new industry standard for taste in a quality BCAA powdered product. The taste of Modern BCAA+ is just incredible! BCAA'S are the first nutritional supplement one would take when they are thinking about endurance and recovery. When you are working out, (could be a run, swim, or tossing the weights around) you are breaking down muscle tissue. In order to recover and/or grow you need the muscle tissue to mend itself. The Branch Chained Aminos (BCAA'S) are the first 3 aminos needed to begin the mending process. Once the BCAA'S have done their job, the muscle is primed for another workout and/or growth, with adequate protein intake. Drink USP LABS Modern BCAA+ during a workout (intra workout) for longer endurance and certainly have a dose post-workout to speed recovery. Drink it anytime for pure enjoyment and enhanced recovery!